Get your guests ready to deck the halls and celebrate the season with a smile on their face and a drink in their hand when you sell Holiday Snowflake Drink Tickets at your seasonal event. Each ticket features a unique turquoise background with a wintery snowflake design, and includes room for you to upload your own image. 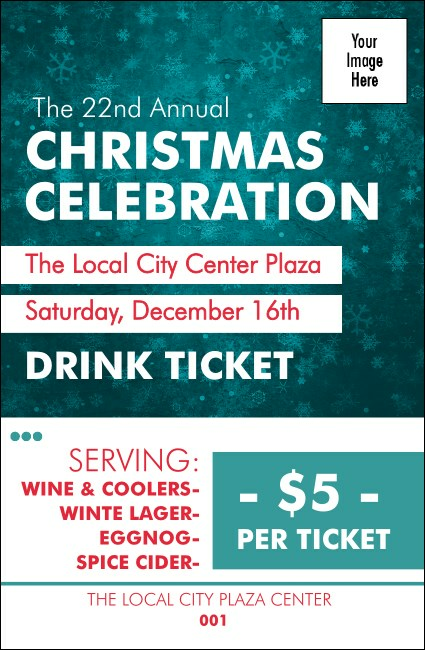 Warm up to the right ticket with winter designs from TicketPrinting.com.